For open-water scuba diving, travel downriver to Troy Springs State Park, where visitors can dive, snorkel and swim in the 70-foot-deep Troy Spring. The spring hosts the remains of the 19th-century steamboat Madison, which was purposely sunk during the Civil War to avoid capture by Union troops. This site is a breathtaking glimpse of history, surrounded by diverse aquatic life. 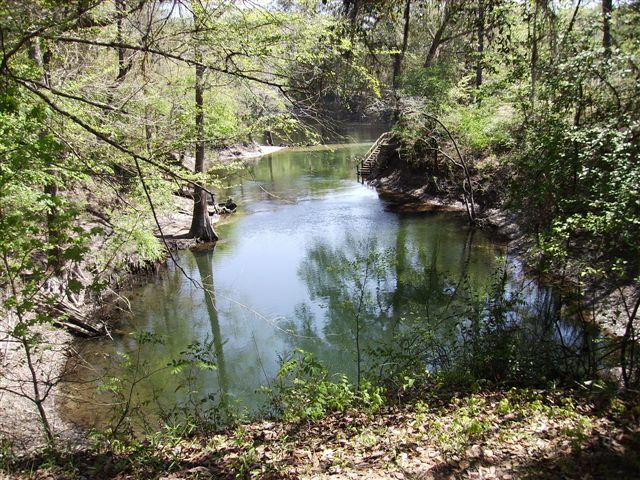 Troy Springs State Park also offers hiking trails, canoeing, snorkeling, picnic tables and popular geocaching sites. This park is a great place to bring the family together with its beautiful, eclectic scenery. The entry fee is small and the park promises stunning views - many have hosted weddings, holiday celebrations and family gatherings here. Pets are permitted. The park is also equipped with public bathrooms and showers. HOURS: 8AM - sundown. Dives must be completed before 5PM. OTHER: Family friendly. Dogs allowed. Public bathrooms and showers. No camping. NEARBY TOWNS: Mayo - 14 miles; Fort White - 20 miles; Live Oak - 31 miles; Gainesville - 57 miles; Jacksonville - 91 miles; Tallahassee - 94 miles; Tampa - 167 miles; Atlanta, GA - 304 miles. ACTIVITIES: Hiking, biking, canoeing, kayaking, fishing, scuba diving, snorkeling, tubing, swimming, geocaching.